Make time for a trip with a Blue Badge Guide to the home of time – a royal observatory sitting on the Prime Meridian overlooking a charming suburban London village. 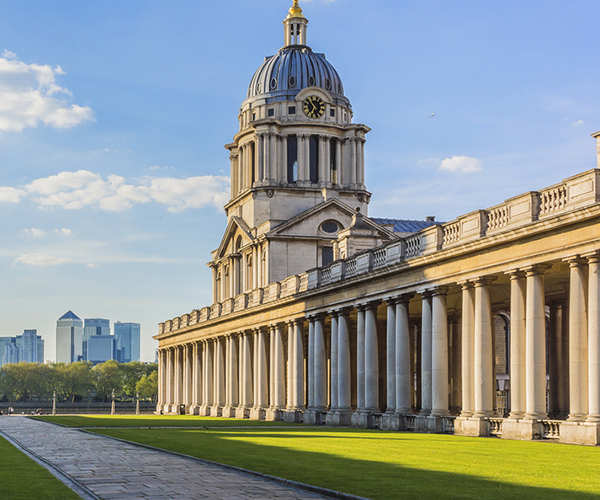 Let us take you on a private guided tour of Greenwich. 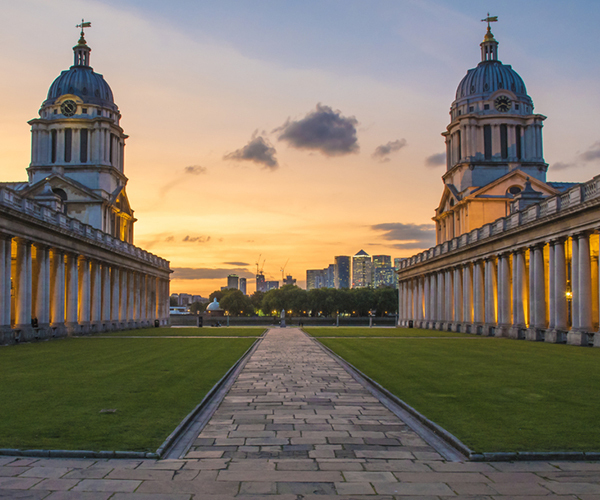 Greenwich has been at the heart of more than 500 years of extraordinary history. Following in the footsteps of Romans and Vikings, our story begins with King Henry VIII and his now sadly lost Tudor palace – birthplace and favourite residence of England’s most controversial king and his daughters, Queens Elizabeth I and ‘Bloody’ Mary I. The story continues with riverside Greenwich’s unique maritime connections. Its importance as the centre of maritime power is conveyed by a magnificent 18th century architectural legacy designed by Sir Christopher Wren: the former sailors’ retirement home in the Old Royal Naval College. Marvel at its wonderful Greek Revival chapel and especially the English baroque Painted Hall, formerly used as the sailors’ dining room (it re-opens in 2019 and will feature an excavated section of the Tudor palace). We will also see that graceful 19th century sailing ship, the Cutty Sark where we’ll hear stories of tea clippers and merchant pride that competed around the world. We stop off in the National Maritime Museum for highlights including a stunning 18th century gilded royal Thames row-barge and the ill-fated military jacket worn by Lord Nelson when he was killed at the Battle of Trafalgar (1805). If ships and shipping are your thing, this is the museum for you! Then up the hill to the observatory to see the home of time at the meridian line and even a visit in to the observatory and planetarium. Your guided tour of Greenwich finishes with one of the London’s great panoramas stretching out below Greenwich Park. Ask your private guide about reaching Greenwich by river boat from central London to enjoy a relaxing guided cruise along our historic river highway.